Take to the beach, you bird watchers. 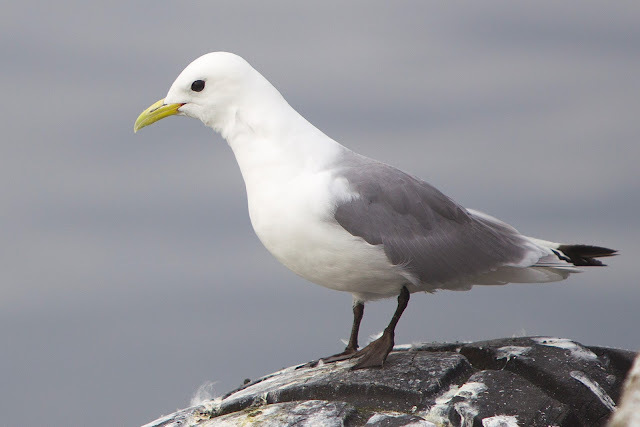 The black-legged kittiwake has been spotted at the north end of the Long Beach Peninsula near the Ocean Park beach approach. 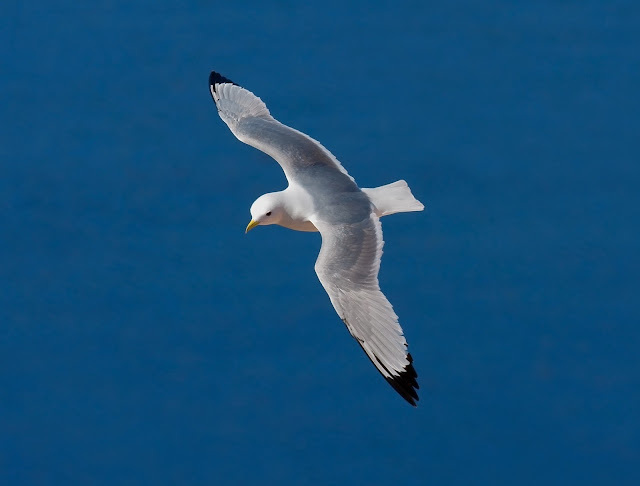 These birds belong to the species Laridae and are often found alone at the edge of flocks of other gulls. The black-legged kittiwake is a bit smaller than its cousins. Its head and body are white. The wings are gray with solid black tips. It has a yellow bill and short black legs. In the winter it sometimes has a gray hind-neck collar. 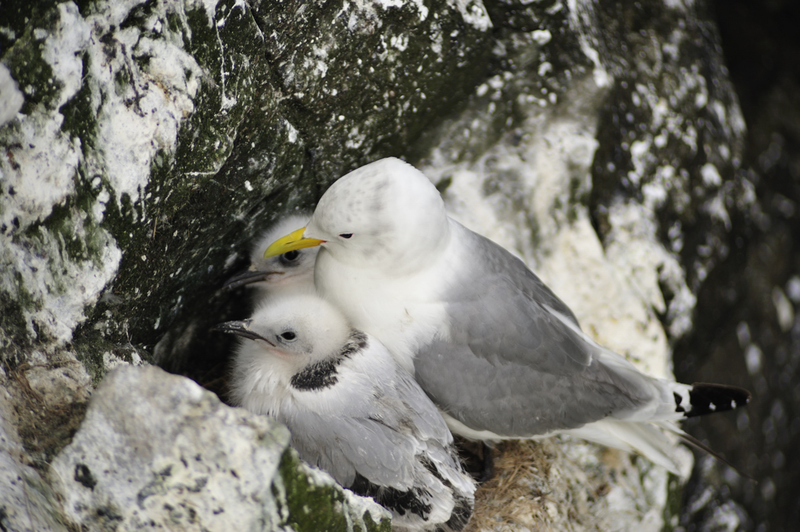 The black-legged kittiwake builds its nest on sheer ocean cliffs. At fledgling they have black 'W' band across the length of the wings and a black hind-neck collar and a black band on the tail. These birds, as one would expect, are fish feeders. They are found around the north Pacific and north Atlantic oceans. So, on your next trip to the beach keep a look out for these beautiful birds. They are loners. You won't find them in flocks. 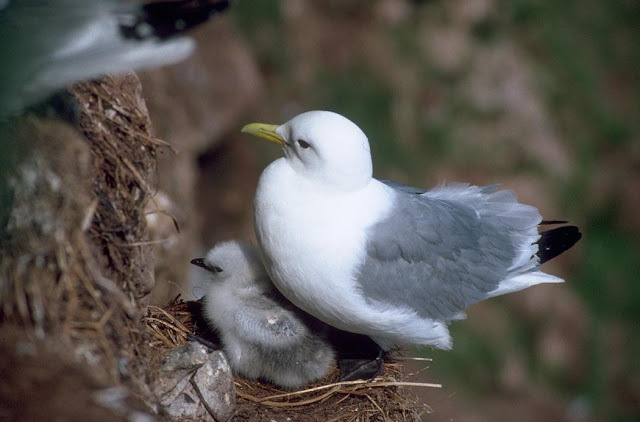 But they can often be found alone at the edge of flocks of other species of gulls.